Review: AMD Phenom II: striking back with a vengeance? The razzamatazz of CES 2009, held in Las Vegas, Nevada, provides the backdrop for a product launch that will define AMD's high-end desktop CPUs for the first half of the year. Based on the company's 45nm manufacturing process and brought to market a couple of months after the launch of the similar server part, Shanghai, AMD's Phenom II quad-core processors promise higher clock speeds, to better compete against Intel's Core 2 Quad CPUs. 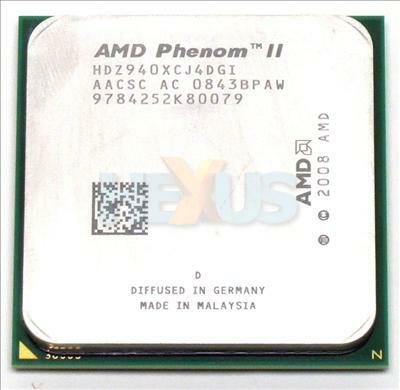 Phenom II 920 and 940, released at clock-speeds of 2.8GHz and 3.0GHz, respectively, will be available to buy in a couple of weeks. We investigate whether the advancements over incumbent Phenom X4 are enough to make them serious contenders in the <£250 market.